Iron brained leads hard heads home. 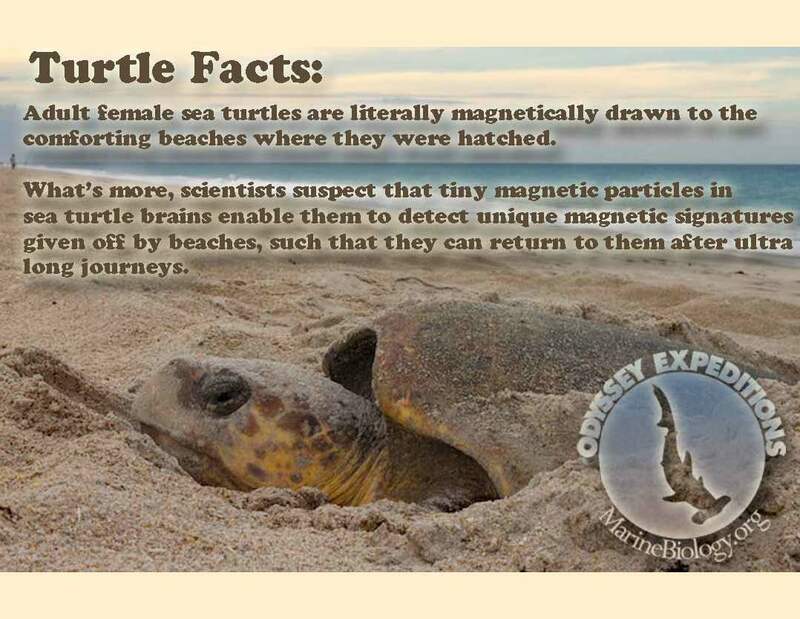 Adult female sea turtles are literally magnetically drawn to the comforting beaches here they were hatched. What’s more, scientists suspect that tiny magnetic particles in the sea turtles brain enable them to detect unique magnetic signatures given off by beaches, such that they can return to them after ultra-long journeys.